Lenovo reached out to business users yesterday announcing a couple of enterprise-ready devices in the form of a new 10-inch Windows based tablet, the Lenovo Thinkpad 10, as well as the ThinkStation P300 workstation. The ThinkPad 10 is made of premium aluminium and can be used in stand, tablet, desktop and laptop mode with accessories like a full-size keyboard, a Quickshot cover, a USB 3.0 docking station or ThinkPad Tablet Dock. “The channel has been looking for a tablet design for the enterprise, and we feel we have accomplished that with the ThinkPad 10,” said Alysia Baker, Worldwide Product Marketing manager at Lenovo. Its specs include a 10-inch full-HD Gorilla Glass display, Microsoft Windows 8.1 64-bit, a quad-core Intel Atom Z3795 processor clocked at 1.6GHz, up to 4GB RAM and up to 128 GB storage, 8-megapixel rear camera with flash, 2-megapixel front camera, 10 hours of battery life, and more. 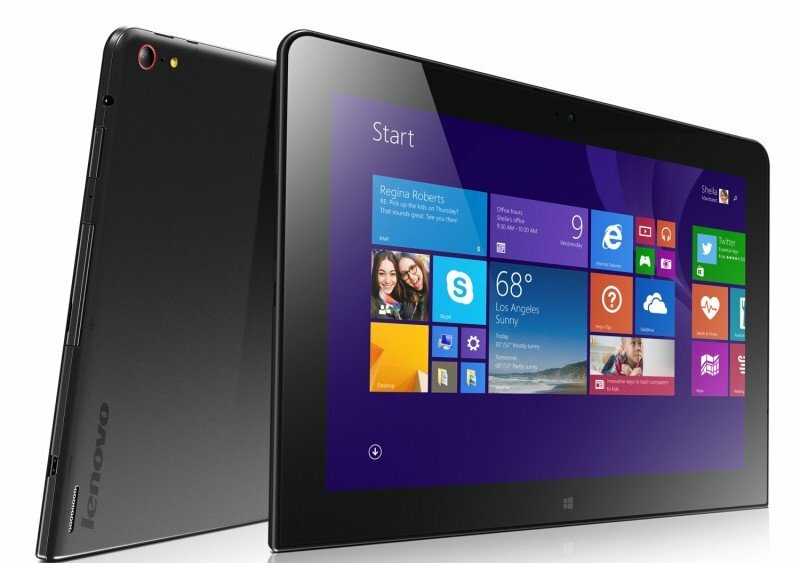 The device supports microSD storage expandability and comes with a digitizer pen like the Surface Pro 2. Connectivity options include Bluetooth 4.0, 3G/ 4G LTE, HDMI-out, and one USB 2.0 port. The company says that the $599 tablet, which weighs in at 1.3 pounds. offers a "full PC experience". In addition to the tablet, the company has also announced its entry-level workstation, the ThinkStation P300. The ThinkStation E32 replacement sports a redesigned cover that no longer features a bulky handle. According to the company, the workstation has "intuitive red touch points and extended lip in the front and the back for easy carrying and deployment". It also features a new FLEX module that gives users the option to add only the components they need. This module supports a combination of an ultra-slim optical drive, 29-in-1 media card reader, IEEE 1394 Firewire, and eSATA. The ThinkStation P300 starts at $729 and will be available in tower and Small Form Factor model. Both units were announced at Lenovo’s Accelerate Partner Conference in Orlando, and will be available next month.